This is the second in a series of issues featuring new scholarship on nineteenth-century art. Edited by Bridget Alsdorf and Marnin Young. Editorial Assistant: Luke Naessens. Apprehension of the social can be effected conceptually through theoretical reflection on social formations and the structures underlying them—as in the body of thinking variously described as social theory, political economy or sociology. The picturing of the social, though, generally operates in a different mode. 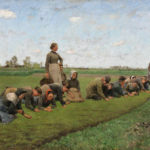 In the Realist or Naturalist forms of picturing dominant in later nineteenth-century depictions of modern life, the scene or situation was designed to be apprehended by the viewer as a directly experienced physical reality. An existential awareness of the social, experienced at a level that was not fully conceptually articulated, was where visual art’s picturing came into its own. 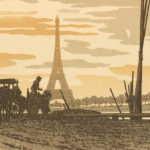 That the almost 130-year-old Tower has been a monument sacré for fifty-five years has clouded both popular and specialist awareness of its transformation. Because we are familiar with Barthes’s, Malraux’s and Barnes’s Tower, the stripped-down post-1937 structure, which features a ruthlessly geometricized horizontal construction as its first platform, key aspects of its initial lacey ornament have not figured in histories of the structure, its reception, and representation. Answering the questions—who noticed the ornament when the Tower was new? and so what?—is a goal of this essay. “Air” for Mallarmé suggests not only atmosphere or ambient space and the instantaneity and fleetingness of appearance and visibility, but also nothingness, silence, and a sous-texte rhythm or spacing, the “air or song” beneath the “text” of the painting. Invisibility, non-signification, and the not-now are also key to Mallarmé’s understanding of the “truth” of Impressionism. 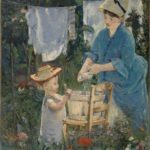 How might this “truth” manifest itself in particular Impressionist paintings? 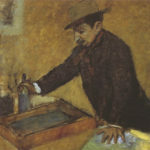 This essay will revisit key aspects of Degas’s critical reception and elaborate a new professional cohort for him, positioning his exploration of new modes of picture- and object-making in close connection to the work of several illustrious engineers, inventors, and manufacturers with whom he was close. 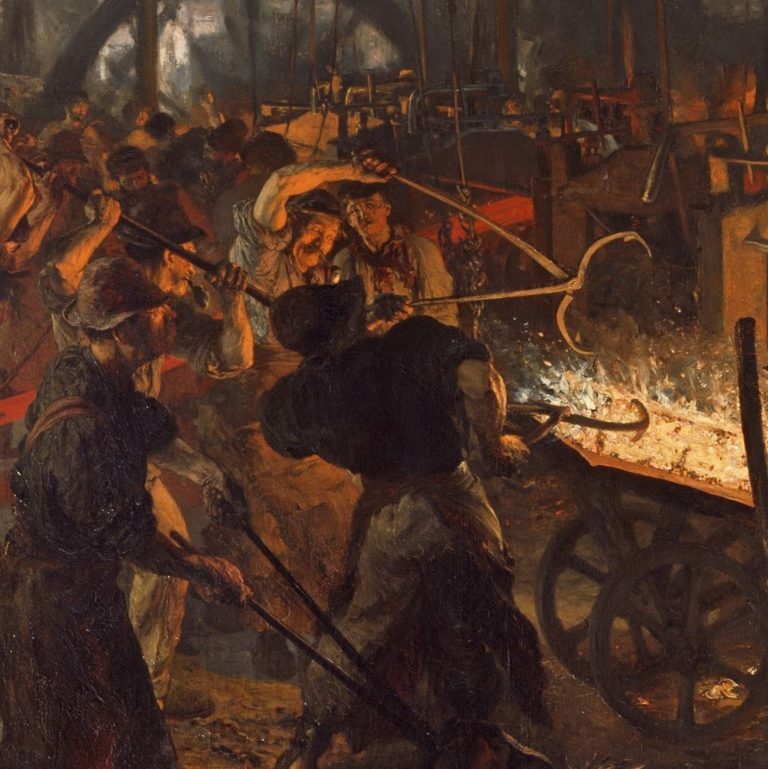 These figures’ careers, I will argue, overlapped in certain important but overlooked respects with Degas’s own, all of which were founded on a primary engagement with materials, construction, and invention. 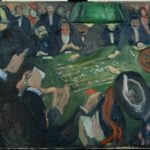 All of the mundane, even offensive qualities of green baize, its resolute materiality, its potential toxicity, its decelerating and silencing effects on items of play, its easiness on players’ eyes, its associations with the bourgeois interior, and with forms of leisure such as billiards and gambling that were increasingly moralized and pathologized, turned up in Kandinsky’s full-throated rejection of green as bourgeois and cow-like. The claims about Delacroix’s allegiance to l’art pour l’art were not new: critics had been accusing him of this tendency as far back as 1834. 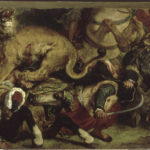 In that sense, Lion Hunt is indeed retrospective, in Delacroix’s lifelong embrace of the materiality of the painted canvas. But there was more to this question of art for art’s sake than a simple reiteration of a preferred stylistic mode. More than mere formalism, Delacroix’s fascination with the material nature of the pictorial surface had a deeper resonance in 1855, one that engaged with traditional aesthetic practices, contemporary realism, and modern technologies of vision.